The Independent Municipal and Allied Trade Union (IMATU) officially communicated its acceptance of the Facilitator’s Proposal on the Pension Fund and Wage Curve Disputes, to the South African Local Government Bargaining Council (SALGBC) today. IMATU’s National Executive Council accepted the Facilitator’s Proposal in principle on 9 May 2013, after receiving a mandate to do so from IMATU’s Regional structures and members. All parties to the SALGBC, namely IMATU, SAMWU and SALGA, were required to provide a written response to the Facilitator’s Proposal on the Pension Fund and Wage Curve Disputes by 16 May 2013. While both unions have accepted the Proposal, the South African Local Government Association (SALGA) indicated today that it is not “in a position to accept the Wage Curve Facilitator Proposal at this stage” and requested that the parties meet again for further deliberations. “It is important for members to note that SALGA did not state in its communication that it rejected the Facilitator’s Proposal. 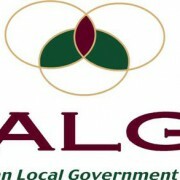 SALGA indicated that it is not in a position to ‘accept’ the Facilitator’s Proposal as its members have registered a number of ‘reservations’ regarding the Proposal, that will be tabled at the next SALGBC meeting. Parties have already agreed that this meeting will take place next week on 23 May 2013,” explained Deputy General Secretary, Craig Adams. It is firstly proposed that employees retain their current salary position pending the negotiation and introduction of a new wage curve. Secondly, it is proposed that employees receive a once off ex gratia payment to the value of one month’s salary, from their employers. And finally, it is proposed that unions and the employer return to the negotiating table to develop a new wage curve. If SALGA does not accept the Facilitator’s Proposal, the matter will then continue in the Labour Appeal Court. IMATU has won the Wage Curve dispute in the Labour Court, but SALGA is currently appealing against the judgment.